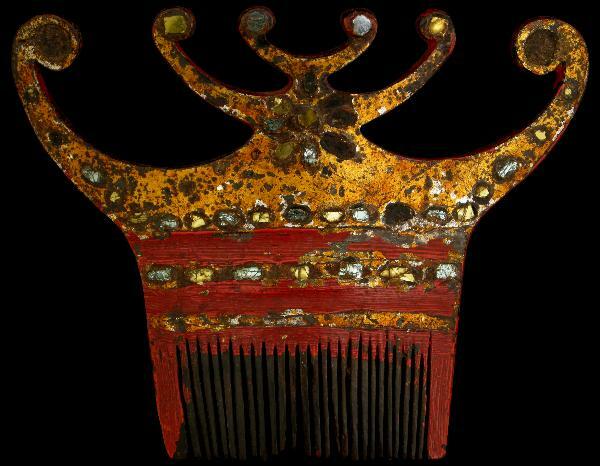 This charming gilded and red painted wooden hair comb from Lampung in the south of the Indonesian island of Sumatra, is embellished with small yellow and clear mirrored glass fragments. The elaborate shape is evocative of a series of buffalo horns. The comb has obvious age and a lovely patina. There are some losses to the glass inlay but no cracks or significant losses to the structure of the wood. 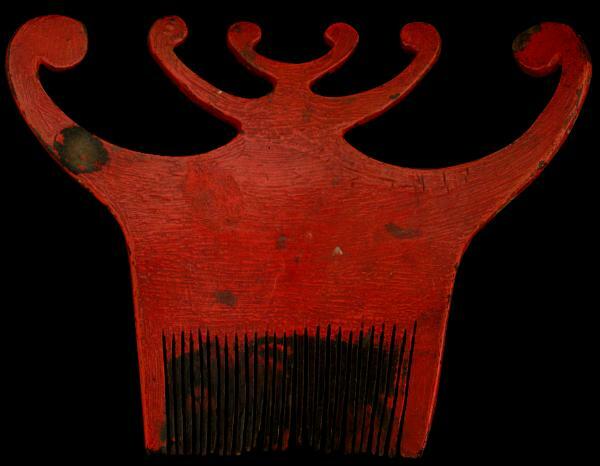 Two related combs are illustrated in Richter, A., The Jewellery of Southeast Asia, Thames & Hudson, 2000, p. 193.